Norman Evan Fuller, a beloved and respected husband, father and member of the community, died peacefully in his sleep last Tuesday with family members at his side after a long illness. Ever an optimist, he will be remembered by those who knew him as a brilliant, industrious man whose ideas were truly ahead of their time. Many will recall his commanding presence, his feeling for humor, and his challenging character. He was equally at ease behind the wheel of a bulldozer or at a formal banquet with Saudi Arabian royalty. Norman was born on Jan. 15, 1930, in Lynwood Calif., to the late Everett Orlo and Dorotha Fuller. He was the eldest of their five sons. Despite his modest upbringing in Compton, Calif., he convinced his parents to buy him a violin, and his natural talent garnered him an invitation to perform at the 1939 New York World’s Fair when he was only 9 years old. Thereafter, he trained to become an ice dancer and went on to win the bronze medal at the Pacific Coast Championship. He remained active in the sport as a vice president of the U.S. Figure Skating Association, serving as team leader of several World Figure Skating teams and judging several World and Olympic events. A hard worker to his core, he was born with an entrepreneurial and inventive spirit that never abated. At the age of 4, he delivered pies for his great grandmother; he continually took odd jobs throughout his youth in order to care for his menagerie of pets and to buy the first of many cherished cars. After graduating from high school in 1949 and a brief enrollment at Compton Community College, he joined the U.S. Navy Reserve. He was an employee of Dumont Aviation, working his way up from stock boy to salesman and broadening his entrepreneurial skills. In the early 1950s, he saw substantial success with his invention of an in-flight fueling indicator, permitting him to become an independent investor in property and innovations such as electric vehicles and magnetic tools. In 1961, his development of an advanced electrical motor for Boeing and additional products for the U.S. government grew his fledgling company, American Electric, into an organization of 1,700 employees. He sold the company in 1968 and became a director at City Investing in New York, though corporate life never quite suited him. In 1973, he established Diamond Plastics, a styrene manufacturer, and CS&M Inc., a building system company based in Chino, Calif., developing both into global corporations with licensed factories around the world. In 1977, he moved with his family to Sun Valley, Idaho, and purchased the Alpenrose Hotel, Galena Lodge and a ranch at Magic Reservoir. He was actively involved in the community in Sun Valley and served on the board of the Sun Valley Center for the Arts and Humanities. Norman suffered the first of three debilitating strokes in 1986. Despite his decreasing ability to communicate and his declining physical health, he was never without commentary and remained engaged with the creation of new innovations, experiments and concepts for investment. He was seldom seen without one of the yellow legal pads on which he jotted his ideas and planned his ventures. He is survived by his wife, Judianne; his children, Paul, Glenn, Gerri, Lyle, Brian, Laura, Melissa, and Rebecca; and 15 grandchildren. 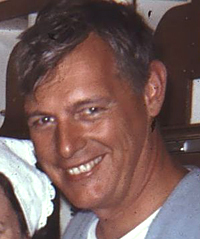 His daughter MaryAnn, son Jason, and first wife Patricia preceded him in death. In lieu of flowers, Norman preferred that donations be made to help children realize their own dreams as he did. Please direct any gifts in his honor to The Sage School, P.O. Box 30, Hailey, ID 83333. A reception will be held at 1242 West Canyon Run Blvd., Warm Springs, on Sunday, May 26, from 3-5 p.m.